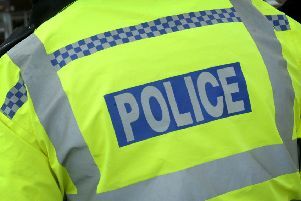 Magistrates were told that if a 33-year-old Billingborough man had stayed in bed instead of getting up three hours early for work, he may well not have ended up with a three-year ban for drink driving. Michael Lee Pullam of Low Street, admitted driving with 69 microgrammes of alcohol in 100 millilitres of breath, when he appeared at Boston Magistrates Court on Wednesday. The legal limit is 35. The court heard that he was arrested after being found driving his Ford Fiesta in Hamilton Close, Bourne, in the early hours of December 23, and were told he had had a similar conviction in 2014. In mitigation, Dean Bower said Pullam had got up for work three hours early by mistake and if he had stayed in bed the extra hours, he may well have been under the limit. Pullam, a self-employed bricklayer, was banned from driving for three years but was offered the drink drivers’ rehabilitation course which will reduce the period by 36 weeks. He was fined £450 and ordered to pay £130 in costs and charges.